← Do You Believe an Honest Car Dealer Exists? It fills one with power to handle poisonous snakes in front of a cheering crowd. Andrew Hamblin has felt the force and can’t let go. “It is the closest thing to heaven on earth that you could get,” he radiates. Andrew is 21, pastor of a small church in LaFollette, Tenn. The daring dynamo landed in the hospital at 19 from the bite of a timber rattler. He almost died because rattlesnake venom destroys blood cells, so it’s hard for blood to clot. His ministry begins in a parking lot when Brother Micah feels a tingle in his hands that spread throughout his body. Andrew is thunderstruck as Micah moans and stomps around a wooden box at his feet. “There’s still an anointing from heaven. Gloooooo-ry to God,” Micah hollers. “He’ll still let you do the signs of God.” His voice sends a thrill throughout the group. Yet it’s only a glint compared to the excitement as he reaches into the box and the snakes appear. The believer dances with feet o’ fire, while the snakes sway and writhe in his hands. And then … Micah reaches out to Brother Andrew. 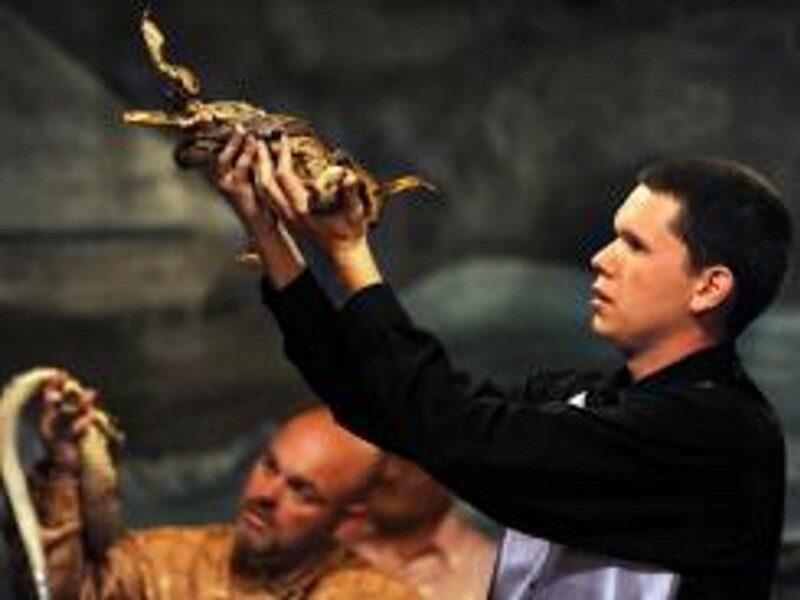 Without fear, Andrew takes the snakes and holds them high. Other men open their boxes, bring out the snakes and go eye to eye. 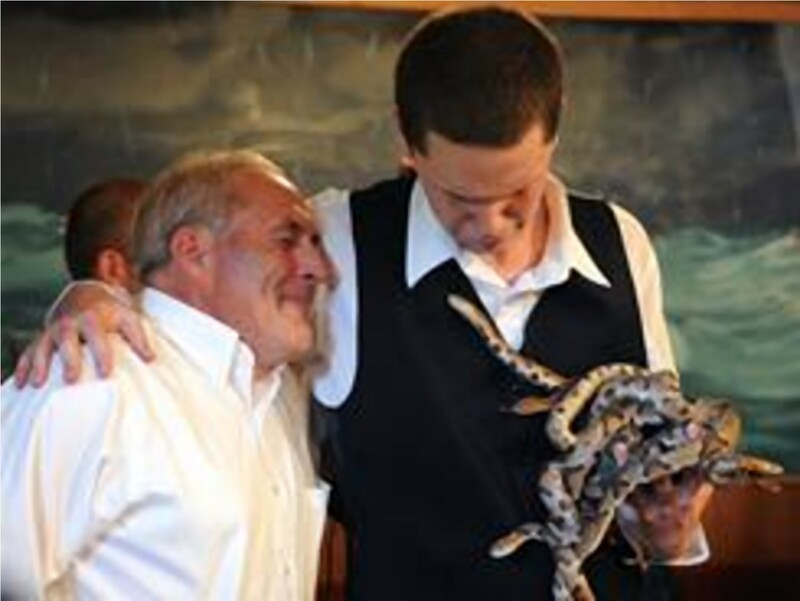 Andrew prays with passion, offers the snakes as proof of his devotion. The women are so taken; they praise God with tears in their eyes. The group is riled now, praying loudly and speaking in tongues. The elders are thrilled. Snake handling had become sparse; it has been revived by the young. I wonder if they have a sit-down about those who have died from snake bites. A late night run to Taco Bell. Watches Sponge Bob with his kids. This entry was posted in Religious and tagged Facebook, god, Snake, Snake handling, SpongeBob SquarePants, Taco Bell, Tennessee, Wolford. Bookmark the permalink.